When we celebrate Thanksgiving this week, I will give thanks for property rights. Property rights allow each individual or family to do what we want with our small piece of the world without having to answer to the whole community. On Thanksgiving, we’ll probably be told to think of America as one big family — and for some people, government is the head of that family. That idea warms the hearts of America’s new “democratic socialists.” But thinking like that nearly destroyed this nation before it began. 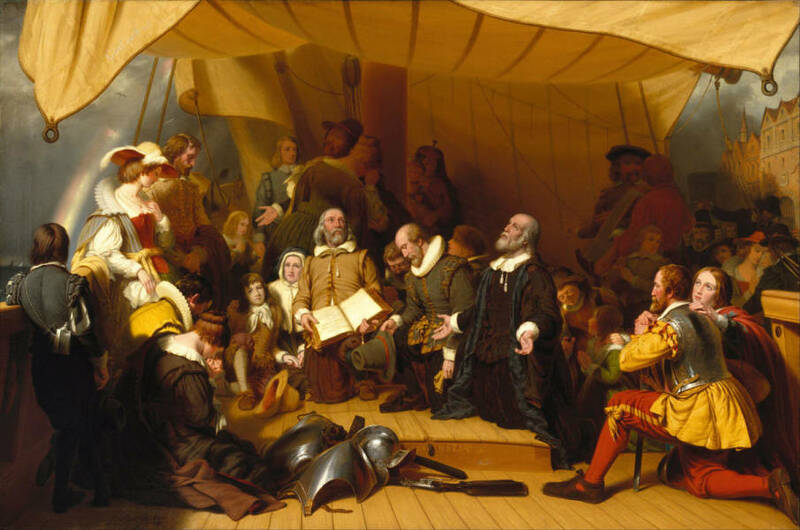 The Pilgrims at Plymouth didn’t share a feast with Indians after arriving in 1620 because America was so filled with bounty. Instead, the Pilgrims nearly starved to death. They’d tried to farm collectively — the entire community owning all the land and sharing everything, like socialists. Then, writes Bradford, “After much debate (I) assigned each family a parcel of land… (T)his had very good success, because it made every hand industrious.” Crop production increased because workers reaped direct benefits of their own effort. They stopped hoping someone else would do the hard work. It’s not that the Pilgrims were lazy or weak. They’d risked their lives to cross an ocean to try to build a community from scratch. But in tiny, often imperceptible ways, we each do a less efficient job, and pay less attention to the task at hand, if we think the whole community is responsible for that task. The Pilgrims were the same people after their switch from collective to individual farming — from socialism to capitalism, as it were — but after the switch, they thrived. That led to the first Thanksgiving in 1623. I worry that, 400 years later, we’ve turned into ingrates. Instead of celebrating individual producers, Americans give thanks to a gigantic government for handouts. It’s not just the poor who get a helping hand. Middle- and even upper-class Americans have been taught to expect government to guarantee health insurance programs, dispense our retirement income, run our schools and provide security. We do things as a single, unanimous unit that could be done better by private individuals and the voluntary groups we form. Why? But it’s a dangerous illusion. It’s hard enough to get a real family to agree on things for the holidays. Children fight. Tastes differ. Not everyone wants to hear the same music. The result of pretending we’re one big household that can manage everything collectively is more than $20 trillion of debt and a million complicated laws. Then we fight about who should be in charge of it all. Collective farming nearly starved the Pilgrims. It also starved tens of millions in the Soviet Union and in Communist China. And it’s not just a farming problem. Government can force everyone into the same centrally-dictated plan, but in doing so it stifles individual initiative and drive. Economists call it the “tragedy of the commons,” and it happens whether the individual’s goal is to make food, build houses or invent a better running shoe. This holiday, I’ll be thankful that the Pilgrims were smart enough to stop doing things the hard way. Modern America should learn from that.